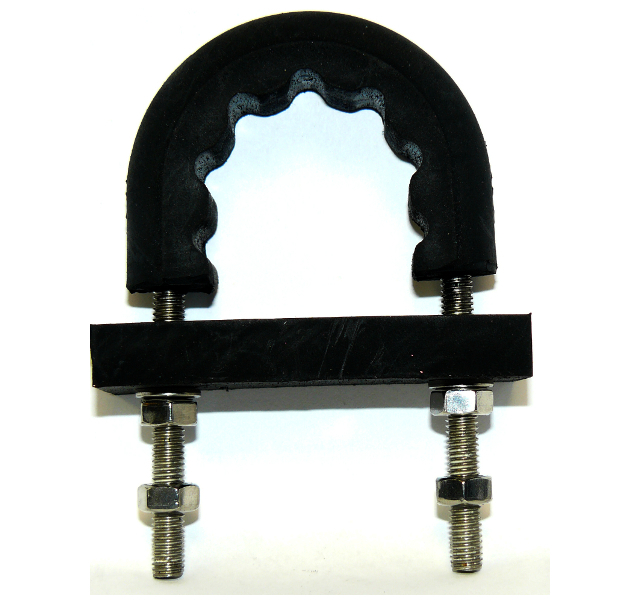 These U-bolts are ideally suited to insulating the metal of the pipe / tube from the U-bolt. Perhaps they are dissimilar metals, and you need to prevent any enhanced corrosion problems. 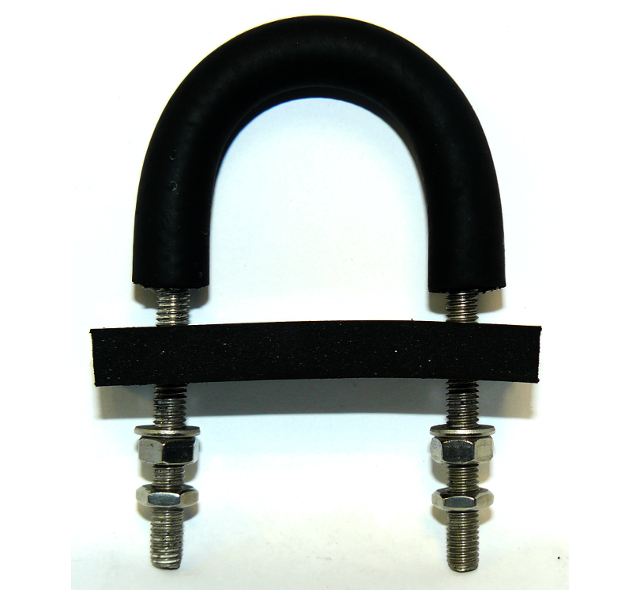 But we have the anti-vibration u-bolt in another exiting flavour – the light duty style with flame retardant rubber. So with insulating and anti-vibration u-bolts, what else is there? Introducing our brand new, patent pending, low friction, non grip, anti-vibration u-bolts. These ubolts have been developed to enable pipes to be securely guided with a minimum of friction so safe-guarding the pipe from expansion & contraction wear due to temperature changes; whilst also reducing the noise & vibration of the pipe. They are fitted with a gap between the ubolt and the pipe enabling the pipe to expand & contract yet keeping it fully guided in position. The rubber base pad acts to reduce the noise & vibration of the pipes as they carry their fluid and it is fitted with a PTFE strip to reduce the friction and hence protects the pipe as it expands & contracts. The pad also contains a metal spacer for the U-bolt legs to go through giving strength to the pad, and a firm anchor for fastening the nuts at the required position. The patented-pending ubolt sleeve is a low friction silicone rubber which rotates around the ubolt to enable the pipe to move unrestricted but be fully guided in position on the supporting framework. These are a much cheaper and more reliable solution to the conventional rubber lined ubolts which have PTFE bonded to the inside surface of the rubber coated ubolt. Although Ubolts with the PTFE strip bonded to the rubber profile around the ubolts have been in common use for many years, they are prone to the PTFE separating from the rubber due to the difference in the expansion coefficient of the rubber and the PTFE. This problem is eliminated by Graphskill’s unique solution of a single medium with minimal friction.